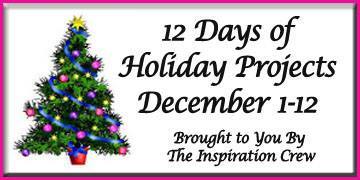 Welcome to Day 11 of the 12 Days of Holiday Inspiration Blog Event brought to you by "The Inspiration Crew". 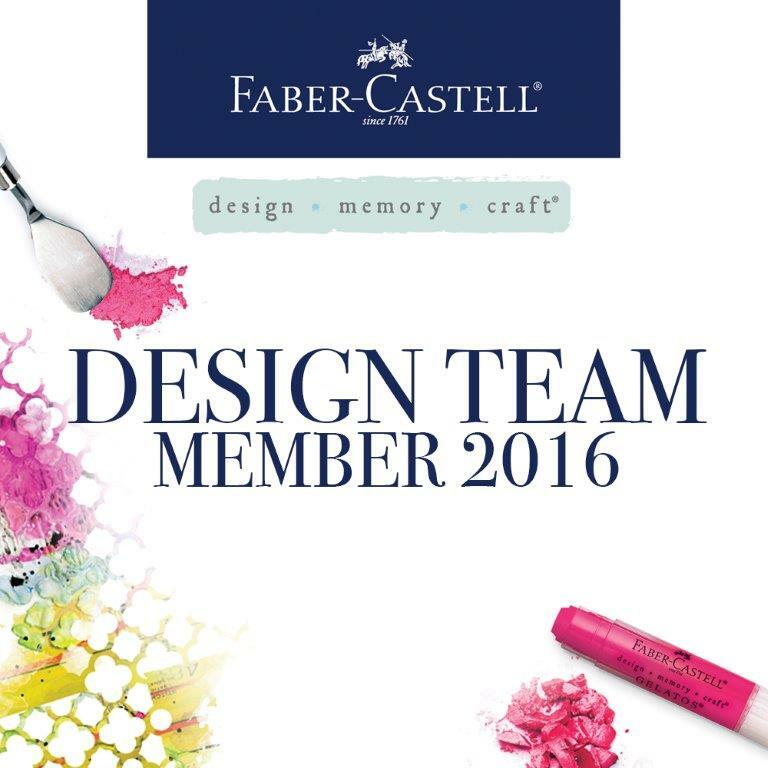 We’re just a group of online crafty friends who love being creative. This time we're doing a 12-day event to provide you with tons of Holiday Inspiration. Have you been visiting the Ellen Hutson CLASSroom the past couple weeks? I just love the holiday tag inspiration she puts together every year. I have another tag to share, this time inspired by Day 4 from Kittie Caracciolo. I loved the bold blue and white colors to create a charming winter scene! 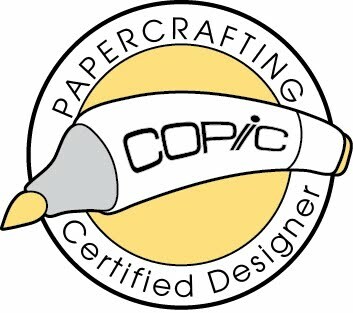 When I saw those birch trees I knew I had to use Lawn Fawn's pattern paper from "Into the Woods". I cut out 5 trees to layer over my background, which was created with Distress Inks. The tree background was embossed with PTI "Winter Hills" set and the rest of the stamps are from Lawn Fawn "Critters in the Snow". The snow banks are cut from DCWV "Fabric Adhesive" paper pad. I'm excited to be linking this tag to Ellen Hutson's 12 Tags of Christmas AND the current Lawnscaping Challenge to create a tag or gift bag! Thanks for joining me for Day 11 of our holiday event! Be sure to visit the other talented ladies to see what they have planned today! Wow, you are so good to cut out all those trees!! I love the color of the blue background you created - this is just adorable!! Awww-dorable! Such a pretty tag! Wow Rachel....this is just waaaaaaay beyond cutie-patootie! 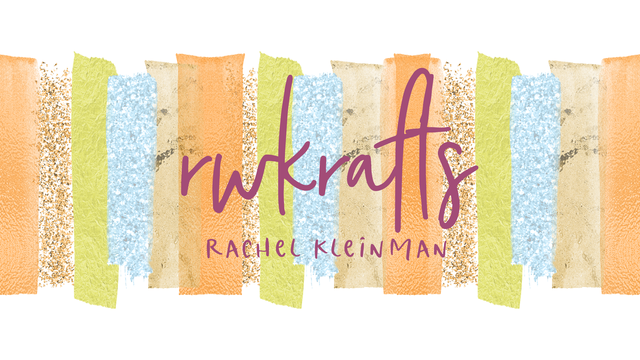 Your distressed ink background is gorgeous! Love the depth & dimenstion you have created on your tag! Fabric adhesive....going to check it out shortly! Super adorable. I love that gorgeous background too! Rachel, this is so darling. 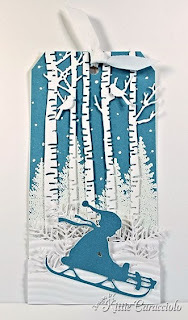 How creative to cut your trees from designer paper and I love, love, love your gorgeous snowy background. 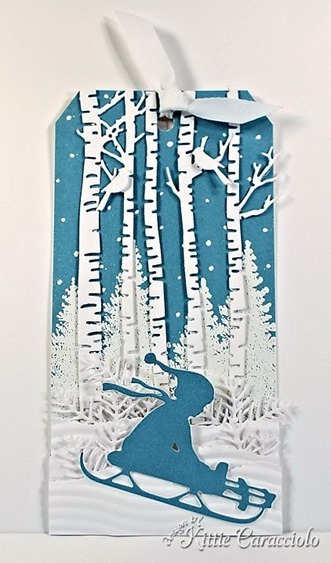 Pretty tag - love the birch tree background and the cute reindeer. love your inspiration.. this is gorgeous.. This is so cute! I love the background and that little deer is adorable! Wow, this is really cool! I love the background you created. Thanks for playing along with us at Lawnscaping Challenges! Delightful! Love the trees and paired with the LF images, simply darling!